the 2007 University of Georgia Homecoming Parade (he was the Grand Marshall). Soon I was like many the Georgia fans who would turn the audio down on the television so they could watch while listening to Munson, satellite delay be damned. He would weave his words like a tapestry that made you believe in every word he was saying. I would wait to listen for what new Munsonism would come through the airwaves. When you listened, you knew he would start out with a pessimistic view of the game ahead. But you also knew he would explode in joy when things went the Bulldogs way. If they didn't win, he would take it as hard as any player, coach or fan. Sure he was a curmudgeon, but he was a curmudgeon who bled red and black every second he was on the air. And his draw was irresistible. I remember seeing him in the press box in what would be, unknown to most of us there, his last game. He was not a young man, and I wondered how much longer he could go on as I watched him seem to be listless and as he struggled walking around the press box. This appearance never seemed to matter as he always seemed to draw renewed energy and vigor when on the air. This reminded me a lot of Father Walter Burghardt, SJ, a then 80-something year old Priest at my old parish, Holy Trinity Catholic Church in Washington, DC, who would be 21 again whenever he started preaching, and every ear and eye in the Church would be on him. Sanford Stadium in Athens, GA was Munson's pulpit and he relished it as much as his fans did. I was sad to hear Mr. Munson had passed, but I was not surprised. He had been in failing health. For me, the real mourning period was when he finally retired, for a truly unique voice was eerily silent. I had gone from a listener who could not understand his appeal to a fan who grew to understand why he was so beloved. 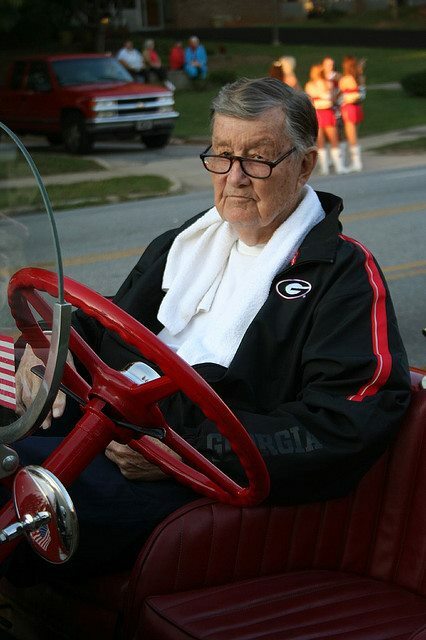 He was a "lifer," who made the University of Georgia and the Bulldawg Nation his extended family. His truly was a voice you knew instantly, unlike the mostly bland voices you hear on radio and television sports these days. There are few left like him anymore, and this is a loss all true sports fans should mourn.